There is a thin line between success and a complete disaster when importing/migrating a website. This bold move to change your domain name or implement HTTPS can significantly increase your reach and boost business. On the other side of that coin, a poorly implemented website migration can result in the complete failure of your business by significantly decreasing your site’s organic traffic. What Does It Mean To Migrate Or Transfer A Website? In simple terms, this refers to the process of making substantial changes to your website which can greatly affect visibly in search engine results. Changes usually affect the location, content, structure, design and platform of your website. It can take several months to complete this process and requires in-depth planning and testing. During the planning stages your current website will continue functioning. Before you start the process of transferring your existing website, double check to see if it is the best move for you and your brand and also if it is the right time. Assess the time, cost and effort it will take to be successfully done. Since Google will take some time to process and update this change, it is normal for your site to experience a temporary loss in traffic even when properly done. If poorly done things could head for the gutters. So, by carefully executing the migration of your website, you will be able to minimize traffic fluctuation. When effectively done Google will index and treat the site as the original. So you may be wondering when a site migration is actually worth it. When is the right time to do so? 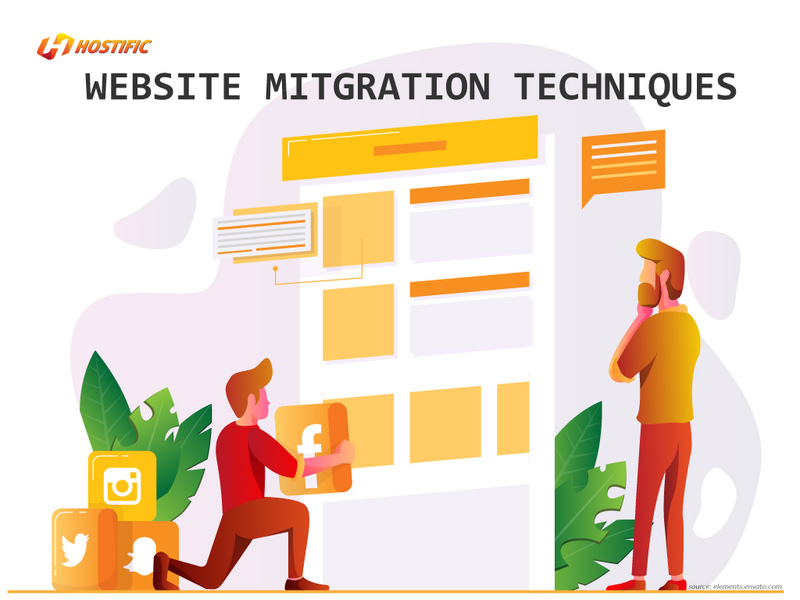 Regardless of your reason for you wanting to do a site migration, be sure that you have a clear objective of what you want before starting the process. Do you want to transfer your website from HTTP to HTTPS? Are you looking at a complete renovation of your site? Hyper Text Transfer Protocol, HTTP, is the procedure involved in sending data from your browser to your connecting website and vice versa. The ‘S’ in HTTPS means secure. That is, communication between your browser and the website are encrypted. If you are transferring your website from HTTP to HTTPS, the goal is to maintain the same level of traffic but now in a secure environment. While a complete renovation of your site is usually geared towards boosting growth. Understanding this from the get-go is important in ensuring that your objectives for the move are met. Before importing your website, be sure to backup all the information on your current site. Do this by logging into your current website hosting platform and downloading your content. This includes your posts, comments, themes and CSS files. By doing this you are protecting yourself from a worst-case scenario should something go wrong during the website migrating process and you lose all your content. Use a test server to do trial testing to ensure that everything is working properly. Confirm that the redirects are working correctly. Do all this privately so you can work out the kinks before going public. This process can take time but is all worth it. Trying to do this in one go without doing due diligence can set your site back by weeks. Just like you wouldn’t close your restaurant during lunch hour, don’t migrate your site when there is a lot of traffic. Check your analytics and complete the process during the slowest period of the year, the slowest day and the slowest time. This way you can minimize the loss in traffic. Make the time to work on suitable keywords before you launch the new website. The goal is to extend your visibility and increase traffic through organic search. Track your ranking on both PCs and smartphones so you can easily diagnose and remedy issues on various devices. Also, check your analytics to see the reach of your keywords in other markets around the world. Your Website has been Migrated, Now What? Do not be in a hurry to get rid of your old domain even though you have already transferred your site. When returning visitors search for you, the old domain is useful in redirecting them to your new platform. This way you can still direct traffic to your site. You have migrated your site but loyal customers will be going back to your old online address to find you. This custom page gives visitors to your site directions to find you at your new location. Check the loading speed on your site. Just as no one likes to stay in line, you may lose customers who are frustrated with waiting on your page to load. This isn’t good for business. If your website is not loading at a fast speed, consider upgrading your hosting package to facilitate faster uptime. Are you ready to transfer your website? If your answer is “yes”, then allow us to help you do this in a few simple steps. Import Website Tools will have your new site up and running on our platform in no time. Also, you can change and improve the look of your website by selecting a professional responsive template from our catalog. Most persons use their smartphones to browse and do business on the internet. Our Website Building Tools will help you to optimize your site making it mobile friendly. Once you’ve made our platform your new home take advantage of our ultra-fast web servers, which provides optimum loading speed and 99% uptime. Here you can discover in-depth articles covering topics such as web hosting solutions, websites, online security, domains and more. Plus, It’s the best place for small businesses, online developers, bloggers, and other digital professionals to get valuable resources, excellent tips and tricks for a fuller more enhanced web hosting experience.